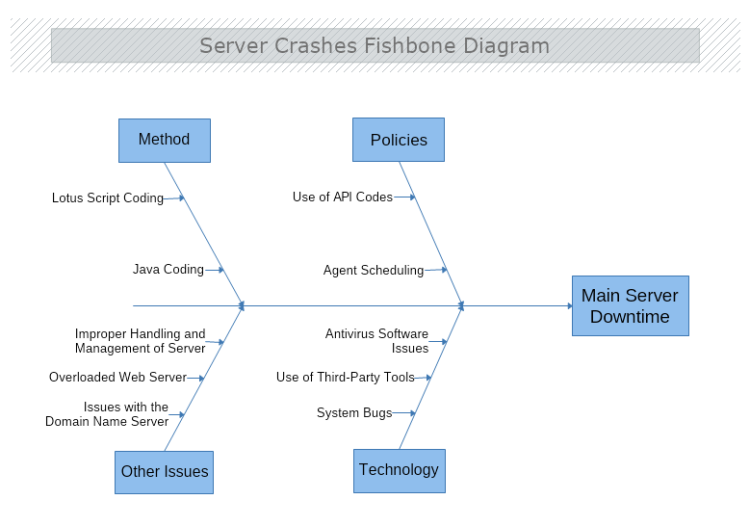 This diagram displays all aspects that could cause a server downtime. It is created to monitor all the issues and locate the exact cause that needs to be improved. Download this free template and edit it with MyDraw so it meets your needs and demands to avoid crashes of your servers.